With the release of “The Lost City of Z” and “Good Time,” 2017 may well be remembered as the year Robert Pattinson officially became a critics’ darling. But his versatility has never been on such dazzling display as it has this year, first with his shrewdly underplayed supporting role as the real-life Amazon explorer Henry Costin in James Gray’s “The Lost City of Z.” He followed that with his arrestingly deglamorized star turn as an amateur bank robber in Josh and Benny Safdie’s thriller “Good Time,” which opened in theaters Friday. The steady accumulation of prestigious world-cinema names on Pattinson’s résumé represents the fulfillment of a dream that took root during his teenage years. 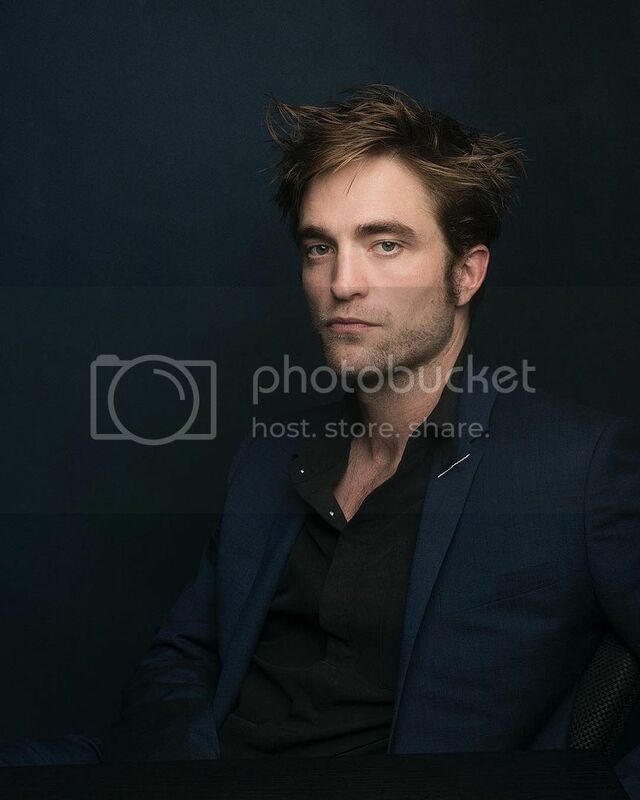 Well before “Twilight” sent him into the celebrity stratosphere, Pattinson says, he was an obsessive film buff with a particular passion for French art cinema. Even critics who have been slow to appreciate the actor’s talent (guilty as charged) would likely approve of his taste, which has steered him toward favorites as different as Jean-Luc Godard, Leos Carax, Claire Denis and Herzog. This month, Pattinson is headed to Poland to begin shooting the sci-fi adventure film “High Life,” the first English-language project directed by Denis, whose films he began watching avidly as a teenager. Pattinson’s other forthcoming projects include “Damsel,” a period western costarring Mia Wasikowska and directed by David and Nathan Zellner (“Kumiko, the Treasure Hunter”), and “The Souvenir,” a two-part romantic mystery from British director Joanna Hogg. Have you always been an avid moviegoer? I was into movies before I was even remotely into acting. I basically approached my career, at least for the first 10 years of it, trying to re-create my DVD shelf from when I was 17. Tell me what was on that DVD shelf. You could literally look at my IMDb page and see. James Gray was a massive one. Claire Denis. [Werner] Herzog. These are people I’ve just been crossing off the list. There was a lot of [Jean-Luc] Godard. Are there certain titles that particularly inspired you? Godard’s “Prénom: Carmen” (First Name: Carmen) was a massive one for me in terms of tone and performance. I love genre shifts, and I just think for that to start off as a kind of farce and then to develop into one of the most moving relationship stories, unrequited love stories, that I’ve ever seen — that really stuck out. Claire Denis’ “White Material” was one of the big ones. I love “No Fear, No Die” as well. I love a lot of Claire Denis’ stuff. And Leos Carax as well, especially “Les Amants du Pont-Neuf” (The Lovers on the Bridge). There’s something about these filmmakers. I can’t think of a better word than “singular,” but they’re just so unique. I mean, I like a lot of English-language movies from the ’70s, which everybody likes, but among more recent films, for some reason, a lot of French movies — they’re more operatic. They’re not afraid to be emotionally operatic. I like that. For sure. I start shooting on Sunday. I’m flying out there finally after three years. I’m very curious how it will turn out. The script is very ambitious, to say the least. Who are some of your favorite older filmmakers? I’ve recently been watching a lot of Ken Russell. I love his movies. I was watching “The Devils” the other day. There’s some kind of through line connecting all these films, but I can never really figure out what it is. A lot of it is performance-based; all these directors get these incredible performances. Oliver Reed in “The Devils” is unreal. That could literally play now and it would still be subversive. You’ve worked with some terrific filmmakers in recent years, including David Cronenberg, David Michôd and now the Safdie brothers. I got kind of lucky. I had worked with some great directors before that, but they tended to go back and forth between personal films and more commercial films. With a lot of the later directors, their films are sort of all personal. But after Cronenberg and “Cosmopolis,” which just kind of appeared out of nowhere — with David Michôd, I remember seeing the teaser trailer for “Animal Kingdom” before it was out, and it was just a phenomenal teaser. I just went after him then and met him a long time, maybe a year and a half, before “The Rover” even came about. I like the feeling of discovery and meeting someone who is really, really hungry and has a lot to prove. It’s exciting to see the Safdies’ progression. Scott Rudin and Martin Scorsese are producing their next film [the thriller “Uncut Gems”]. You’ve attended the Cannes Film Festival often in recent years. Do you get a chance to see other films when you’re there? This year I saw Lynne Ramsay’s “You Were Never Really Here.” It was great. She’s another person who’s been on my list forever. But in general, it’s always a little funny going to see other films when you’ve got a movie premiering there. I’d love at some point to be on a jury. Everyone is always like, “It’s such a hassle seeing three films a day,” but that’s kind of all I do anyway. Are there any films from the past year or so that you’ve especially liked? I loved “Embrace of the Serpent,” the Ciro Guerra film. And I loved “Mon Roi” (My King), the Maïwenn movie. I thought that was great. I love that you said that. I remember “My King” getting pilloried at Cannes. Really? That’s crazy! I absolutely love that movie. I thought it was so moving. Is Maïwenn someone you’d want to work with in the future? Yeah, for sure. That was one of the best movies of the year for me.